It is the season of rain, the Noong ar season of Makaru. In the Hills this is the season of warm fires, hot soup and long bush walks. At Treetops it is the season of MUD; oozy, sticky, fun to play in, mud. 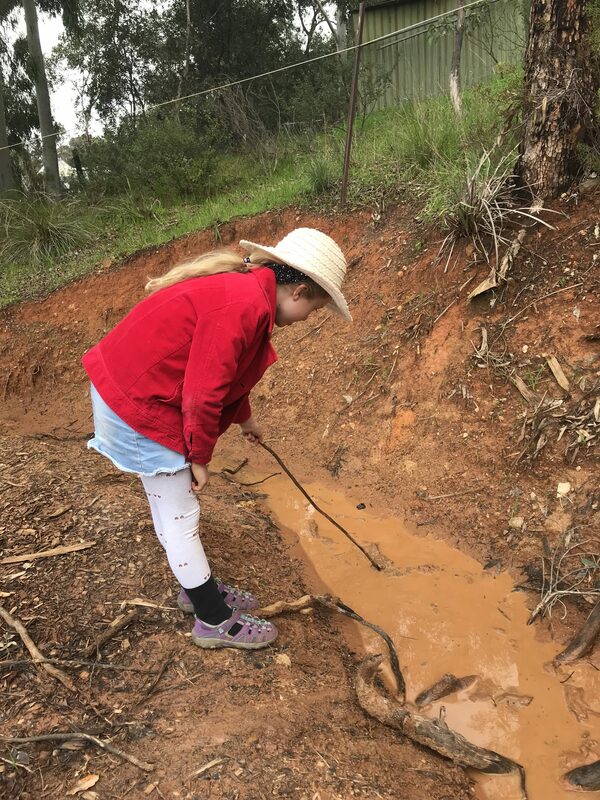 As part of our multiple Nature Play areas we are grateful to have some ditches, puddles, and our outdoor ‘kitchen’ with sink and tap, that enable all the creativity, sensorial delight and physical skills of playing in mud. Students bring in gum boots, have slippers or indoor shoes for the classroom, and at least one change of clothes in their bags. Channels are made, deep wading is practised, mud balls and mud characters are sculpted and children learn how to pull their leg, and preferably also their gum boot, out of a deep suction hold! 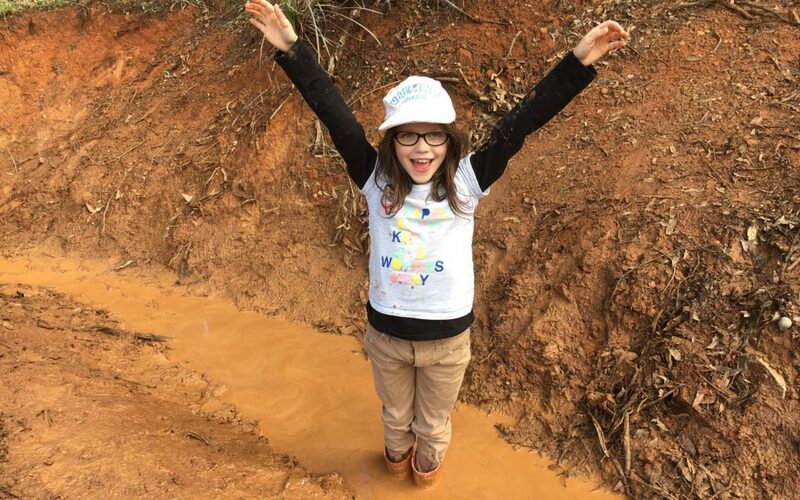 MUD play stimulates the immune system, causing the brain to release serotonin, the endorphin used to regulate mood. MUD play increases brain activity because when children play in it they use all their senses. 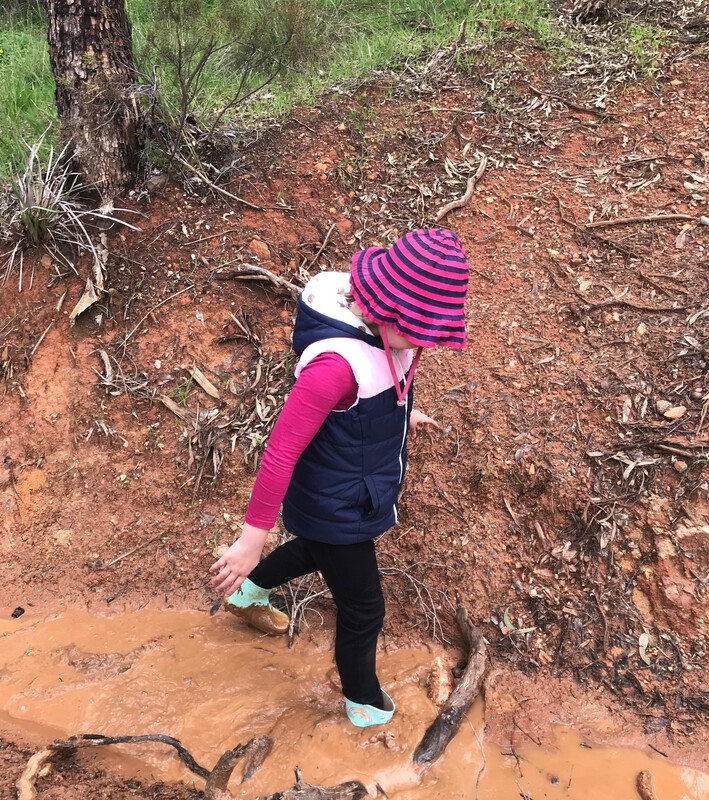 MUD play increases physical activity and fine and gross motor skill development. 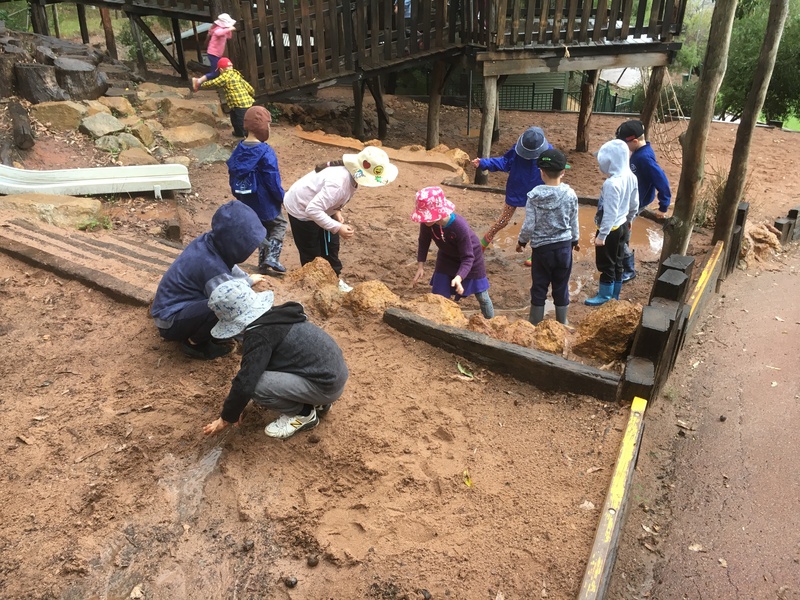 MUD play builds creativity as an unstructured outdoor activity that builds children’s ability to form ideas, problem solve and be inventive. And plain and simple, mud is just fun! For individual tours, contact office@treetops.wa.edu.au or phone 9299 6725.